Dragon Ball Super: Broly hits screens in the U.S. January 16, 2019. That’s the word from Funimation, who have licensed the new Dragon Ball film. Before it goes wide, Broly will have its English-dubbed premiere December 13 at the Chinese Theater in Los Angeles. Before that, New York Comic Con will host a Dragon Ball panel with Masako Nozawa (Japanese Goku), plus Sean Schemmel (English Goku), Christopher Sabat (Vegeta), Monica Rial (Bulma), Jason Douglas (Beerus), Ian Sinclair (Whis) and the film’s director, Tatsuya Nagamine. 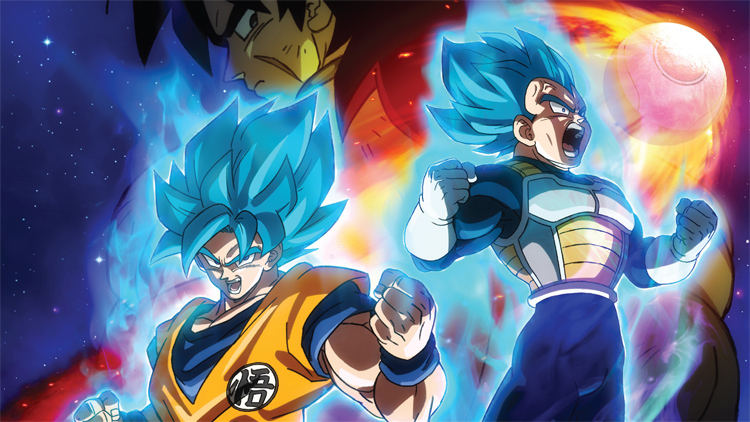 Vic Mignogna, who played Broly in Funimation’s 2003 dub of Dragon Ball Z: Broly – The Legendary Super Saiyan, will return as Broly in the new film.